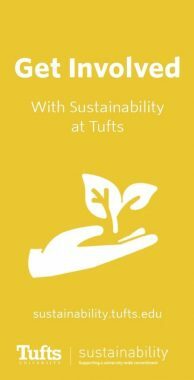 Beyond Tufts, there are many opportunities for Tufts students to get involved with sustainability. There are ample organizations in Medford, Somerville, and the rest of the Greater Boston Area that regularly need volunteers and interns to help with various initiatives and events. Below are just a handful of the organizations near Tufts that offer volunteering and interning opportunities throughout the year. 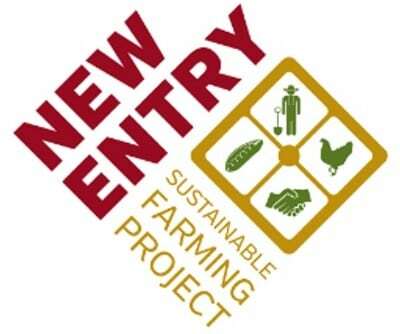 New Entry is an initiative of Tufts Friedman School for Nutrition Science and Policy that works to support new farmers in Massachusetts. They depend on the help of volunteers to prepare hundreds of boxes of fresh produce each week from early June to late October for the CSA program. They also host many work-study and internship positions for Tufts based students. The Food Project is a nonprofit that seeks to engage young people in personal and social change through sustainable agriculture. Each year, they work with 120 teenagers and thousands of volunteers to farm on 70 acres in eastern Massachusetts. They hold three-hour volunteer sessions on weekday and weekend mornings at their farms in Boston, Lincoln, Lynn, and Beverly, Massachusetts in the spring and fall. The MyRWA is a nonprofit that works to protect and restore natural resources in the 22-community Mystic River Watershed. They have ongoing volunteer opportunities for watershed cleanups, water chestnut removals (via canoe! ), counting herring populations, monitoring water quality, outreach and education, and environmental advocacy. Food For Free is a Cambridge-based nonprofit food rescue program that recaptures fresh food that might otherwise be discarded and delivers them to emergency food programs and individuals in need. They have a number of volunteer opportunities for shifts during the local growing season, from May through November. Volunteers help distribute meals, deliver groceries, organize mailings, filing and data entry, and other tasks depending on the interest of the volunteer. The Somerville Community Growing Center is a community garden, but not in the traditional sense. They do not assign plots to individuals, and most of the produce is donated to local food pantries. They regularly host programming including environmental education and cultural performances. They depend on volunteers to help tend to the gardening space, but also have various thematic teams of volunteers that include: computer, website, event support, farmers market, fundraising, children & nature, and much more. Groundwork Somerville is a nonprofit organization that strives to regenerate, improve, and manage the physical environment through community-based partnerships. They regularly need volunteers for their programs as well as one-off events. They also need volunteers to help maintain and educate in various school gardens in the Somerville school district. Green Cambridge is a nonprofit that works to create a more sustainable city and to protect the environment for the health and safety of all. They have five groups that regularly need volunteer help - the volunteer farm group, volunteer energy group, volunteer tree group, volunteer action group, and volunteer organization administration. The Nature Conservancy is the leading conservation organization working around the world to protect ecologically important lands and waters for nature and people. They have a flagship office in Boston that often needs volunteers for their operations, fundraising, government relations, legal, marketing, and conservation science departments. They also regularly host student internships in all of their Massachusetts based offices in Northampton, Great Barrington, Martha's Vineyard, and Boston. The Environmental League of Massachusetts is a nonprofit educational and advocacy organization that is committed to combating climate change and protecting the land, water, and public health. They regularly accept interns who can work a minimum of 15 hours a week for at least four months on a rolling basis. They offer spring, summer, and fall internships. Green Pro Bono works to help social entrepreneurs in their efforts to reduce carbon emissions in their businesses. They are not a law firm, but they help connect legal experts with those requesting legal assistance. They often need volunteers to help with public relations, fundraising, grant writing, administrative chores and other tasks, and are open to taking undergraduate and graduate students. The Get Involved Brochure includes a comprehensive list of sustainability-related student organizations, as well as their websites and contact info. Please contact our office if you feel that your group should be included in our brochure.